EXCLUSIVE! 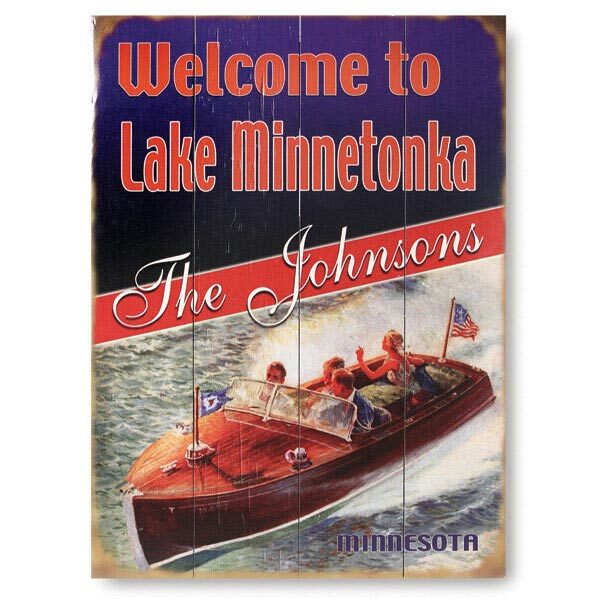 Create your customized sign to greet guests to your favorite getaway or give one to those most wonderful, bestest friends in the world who invite you up to the lake regularly. Wood. 23"H x 17"W. Specify lake name, up to 20 characters; family name up to 20 characters; state name up to 22 characters; and either a US or Canadian flag. Please allow 3 weeks for delivery. No rush delivery or gift box. Delivery to the United States only -- no International deliveries.